The Videocon d2h HD 6666 RF Set Top Box (STB) is one of the most popular and widely used Set Top Box by customers for viewing HD channels. Videocon d2h always provides software / firmware update to the Set Top Boxes for improving Video, Audio Quality & User Experience. 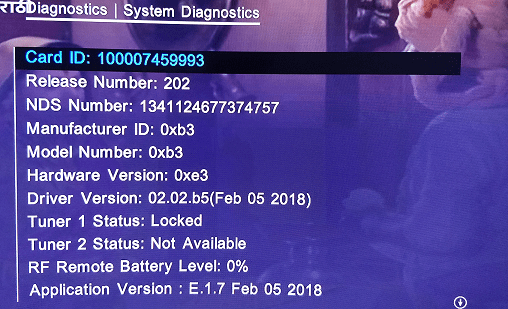 The last update received for Videocon d2h HD 6666 RF Set Top Box was on 05 February 2018. The update improved the video & audio quality thus providing better viewing experience of SD and HD channels. It is highly recommended to update your Videocon d2h HD 6666 RF Set Top Box with this update. 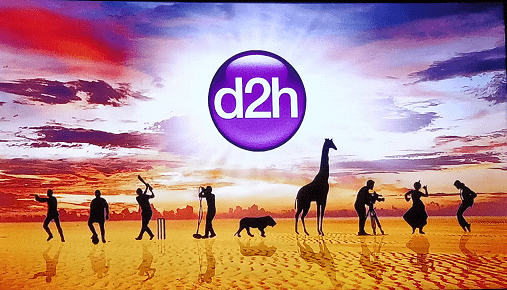 To know the Videocon d2h channel selection process according to TRAI new DTH rule, please check here. Switch on TV and Set Top Box. Remove the Set Top Box power cable. Press reset button of Set Top Box and insert the power cable in Set Top Box. Keep pressing reset button for 3 seconds after inserting power cable. 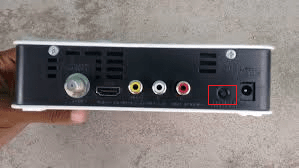 The reset button (highlighted with red square in below image) is present at back of Set Top Box near power cable. Note: Don't play with Set Top Box remote as the software / firmware update will start it's own and do not power off the TV. 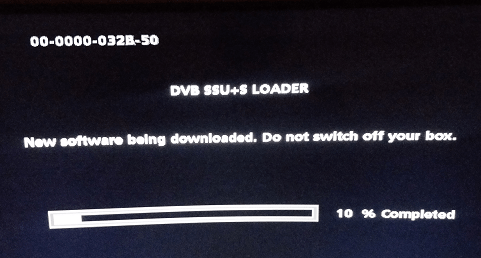 If there is a software / firmware update available then DVB SSU+S LOADER will start downloading the software / firmware update. The TV screen will display the software / firmware download progress. Do not switch / power off Set Top Box or TV till the download process gets complete. 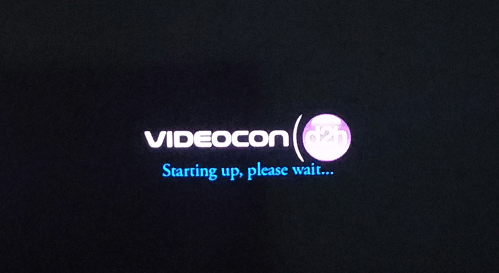 Upon completion of the software / firmware download, the Set Top Box will restart and display Videocon D2H logo for some time. This means that software / firmware update is in progress. Upon completion of software / firmware update, Set Top Box will resume working in normal way. To verify the software / firmware update, go to Menu and open System Diagnostic. This will display all the system related details including software / firmware version. You will have to repeat the above steps to check for the software updates as automatic software update is not completely supported yet. Have any question, query, suggestion? Please comment or contact us through contact page. We will get back to you. Found the post useful? Please share the post and support us ! I would suggest to call customer care and check with them. What is pin for "Restrictions"? Tried all regular pin as 1234, 9999, 4321, 0000 etc. But none worked. Technical pin is working for "sat entry points" is working as 4th6th8th10th digits of box serial no. Thanks for the update, for me too the restrictions part is not working. Since it was not required I dint check with customer care. Please try checking with customer care on this. It's 4th,6th,8th,10th digit of scsn no written below ur box. Not working in my case!! !